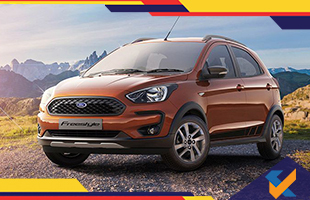 Freestyle is Ford’s new Cross Over [Ford calls it a Compact Utility Vehicle (CUV)] based on their Figo hatchback. Ford has given a Crossover flavour to the Figo hatchback here. The Freestyle gets a restyled bonnet, blackened headlamps, black mesh grille, Figo front bumper with black accents at the lower lip and the customary skid plate. On the sides, there are black accented body claddings, restyled and dark alloy wheels with fatter rubber. The rear also gets restyled bumper with skid plate and black claddings to give a tough look. More importantly, the Freestyle has enough design elements to make it look apart from the humdrum Figo. The car has got 15 mm more ground clearance than the normal Figo hatch which not only adds to the looks but helps in traversing tougher terrains. The car comes with 185/60 R15 tires which are 10mm fatter than the Figo’s rubber. Ford has also slightly retuned the suspension and steering set up on the Freestyle. Ford’s new Dragon petrol engine which debuted in the Ford Ecosport powers the new Freestyle as well, albeit it is smaller than the ‘Dragon’ lurking inside the Ecosport. This is a three-cylinder 1.2-liter petrol unit that makes a max power of 96hp @ 6,500rpm and peak torque of 120Nm @ 4,250rpm. The diesel engine is the same that is doing duties under the hood of the Figo; the 1.5-liter TDCi motor churns out a peak power of 100hp @ 3,750 rpm and a max torque of 215 Nm @ 1,750-3,000 rpm rev range. Both the cars are mated to a five-speed manual transmission and Freestyle is not offered with a CVT. The cars are available in four trims: Ambient, Trend, Titanium and the Titanium+.  ABS+EBD, dual-front airbags, three-point rear seat belts, front power windows, rear fog lamps and reverse parking sensors are standard across the variants including the base Ambient trim. The Trend variant, in addition, gets rear power windows, rear-view camera, and touchscreen (Capacitive) infotainment system. The mid-spec Trend variant also gets a tachometer, gearshift indicator, steering mounted audio controls and Bluetooth smartphone connectivity. Titanium variant gets a push-button start and 6.0X15 alloy wheels in addition to the features spotted on the Trend variant. It also comes kitted with automatic clime control air-conditioning, height adjustable driver’s seat, and electrically adjustable and folding outside rearview mirrors. The top spec Titanium+ variant gets automatic headlamps, rain sensing wipers, SYNC® 3 (with Voice Control) and side & curtain airbags. Ford is yet to announce the launch date for the Freestyle. We expect it to hit the Indian car market soon. The car is expected to be priced in the Rs 6 lakh to 8 lakh price bracket. Watch this space for more details about the Ford Freestyle.